You’ve probably heard about Lake Titicaca even if you don’t know much about it. Big lake. High altitude. Floating islands. Ancient culture. This Andean lake is one of Peru’s leading tourist attractions; it is unlike anywhere else in the world, thanks in part to its unique indigenous communities. If a visit to Lake Titicaca makes your Peru travel list, keep in mind that there are multiple ways to explore the region. How you choose to see the Peruvian side of Lake Titicaca largely depends on your style of travel, interests and budget. Though the tour options are vast, here are three suggestions to get your travel juices flowing. By far the most common way to visit Lake Titicaca is on a group tour to the Uros Islands. These trips do not have to be arranged in advance and cost only a few dollars. Simply show up at the dock in Puno and wait for a boat to fill up, at which point it will leave for the islands. The Uros Islands (also called the floating islands or Islas Flotantes) are what you probably picture when you imagine Peru’s section of Lake Titicaca. The islands are hand-woven from totora reeds by locals who learned the skill from their ancestors. The Uros tribe originally created and lived upon floating islands as a way to escape the aggressive and ever expanding Inca Empire. Today, most members of the Uros tribe live primarily on the mainland. A trip to the Uros Islands will last about two hours. Make sure your boat has a guide who speaks passable English (unless you’re fluent in Spanish or Aymara) and pay only when you’re at the boat to avoid being scammed. You can also book a basic tour at your hotel or with a travel agency for a few extra dollars and you’ll be transported to the dock from your hotel. If you’re interested in venturing further into the lake, you can also tag on a visit to Isla Taquile, home to roughly 2,000 Quechua-speaking locals. Extended tours typically include the standard Uros visit as well as a few hours on Taquile to see the market and main plaza. Expect to spend about six hours total traveling by boat. 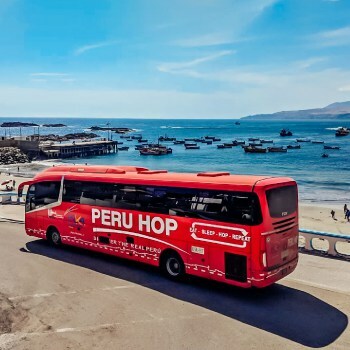 Quick Tip: If travelling to Puno from Lima we strongly recommend to follow Peru Hop’s route along the coast and up to Puno from the beautiful city of Arequipa, this will give you some time to acclimatise to the thinner air at altitude and help prevent any issues when visiting this Andean lake. If you have a bit more time to spend near Lake Titicaca, consider immersing yourself in the local culture. Homestays on Isla Taquile and Amantani are affordable and relatively common. Trips include a visit to Uros, either on the way to or from the main island, and one night in a host family’s home. Accommodations and food are basic, so expect cultural enlightenment, not comfort. If you’re looking for a more isolated and authentic experience, consider visiting the island of Anapia, one of five islands located in the lake’s Winaymarka section, close to Bolivia. The small native population here runs a community-based tourism program that promotes the sharing and preserving of their local culture. Tours include a one-night homestay with homemade traditional meals, a visit to a nearby island filled with wild vicunas and traditional activities such as fishing and farming. As regional tourism continues to grow, other local communities have also begun opening their homes to culturally oriented travelers. The towns of Atuncolla near the funerary towers of Sillustani and the peninsula-perched Llachon offer alternative homestays and cultural activities. Since their programs are still relatively under the radar, these are great options if you want to be the only foreigner in town. 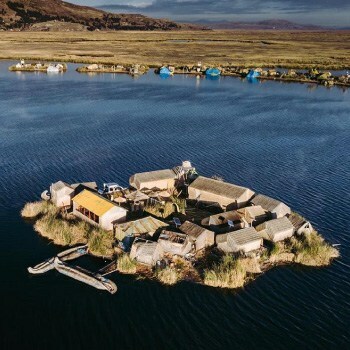 If you’re not interested in roughing it or you need to recuperate after a homestay, head over to Isla Suasi, Lake Titicaca’s only privately owned island. The Peruvian hotel chain Casa Andina operates the island’s solar powered eco-lodge where guests are treated to an all-inclusive experience. Luxury lovers will enjoy quiet seclusion along with gourmet dining options, a sauna and activities such as nature hikes and kayaking. Isla Suasi is located in the northern portion of Lake Titicaca. Getting there requires a four-hour journey each way by boat from Puno or by road from Juliaca. On the way to the island, the hotel’s boat stops for an hour at both the Uros Islands and Isla Taquile. 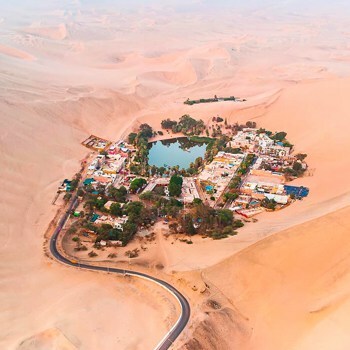 If this has peaked your interest, and you intend to make plans for a trip to this unique lake we suggest you check out FindLocalTrips.com a tour comparison website with heaps of info and all the different options for taking that trip of a lifetime. Laura Elise has been living in Lima for nearly two years. 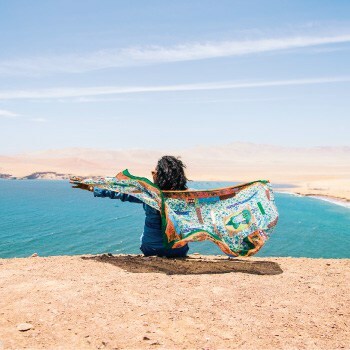 When she’s not on the road as an independent traveler, she works with SA Luxury Expeditions, a specialist in South America tours (a good option for customized trips to Lake Titicaca). 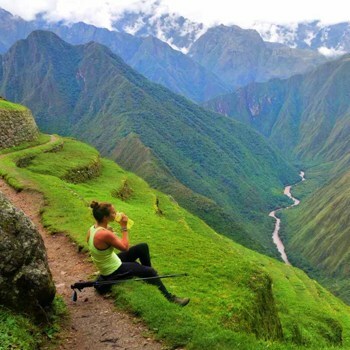 ← How High is Machu Picchu and What’s the Risk of Altitude Sickness? This is a very helpful article. I am interested in a homestay off the beaten path. Do you have any recommendations for agencies, or is there a way to do it without a middle man? 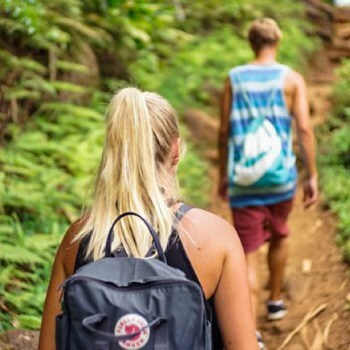 We are backpacking and on a strict budget, and we also want to make sure we spend our money prudently at a good company that doesnt cheat the Uro people. This a great insight into visiting Lake Titicaca. 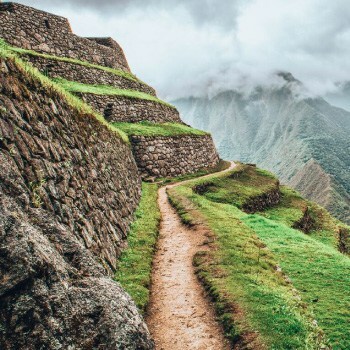 The homestay was one of the most remarkable experiences from my time in South America and I can’t recommend it enough to anyone traveling through Peru or Bolivia. 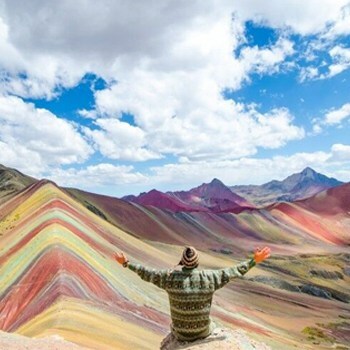 Is there anywhere else in South America that offers an experience that is similar to this one? I’m super interested on staying with a family in the Islas as well! How did you reach to a family ? Through a travel agency or by yourself ? Would you mind sharing it ?